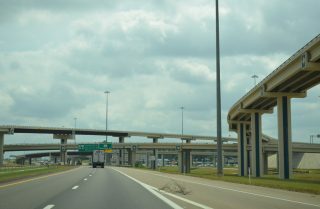 Flyovers join Interstates 30 and 369 at Texarkana, Texas. Photo taken 05/20/14. Texarkana was originally served by just Interstate 30 on its trek between Dallas and Little Rock. The November 2012 addition of Interstate 369 along the west side and Interstate 49 on the east side in November 2014 enhances the city’s location in the region. Speed limits along Interstate 35E through St. Paul drop to 45 miles per hour from Exit 103B northward to I-94. Photo taken 04/21/07. 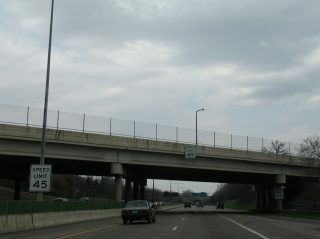 The portion of Interstate 35W northeast along 7th Street SW and the Mississippi River into Downtown St. Paul was the last to be completed in Minnesota. 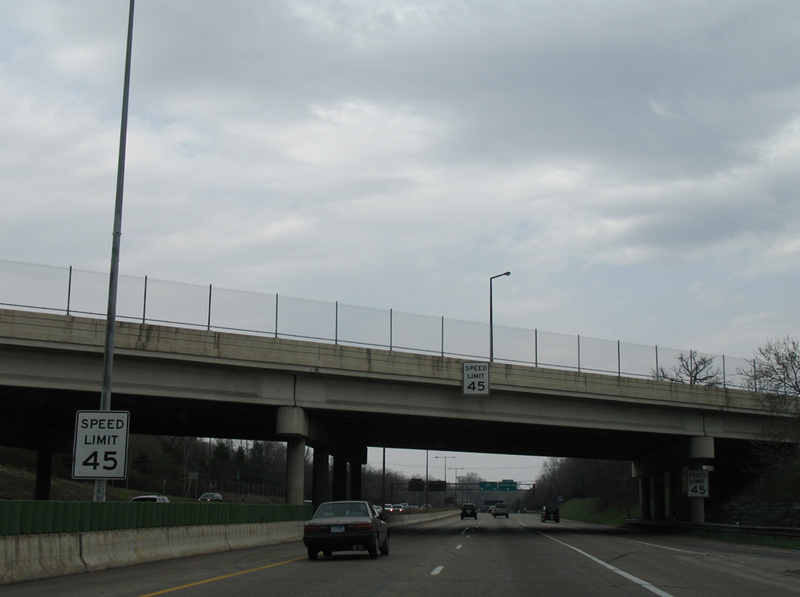 The freeway was designed as a parkway with lower speed limits as part of a compromise for its completion.